Oregon's senior senator hits every county in the state annually for question-and-answer sessions. U.S. Sen. Ron Wyden will hold a town hall set for 10:30 a.m., Friday, Nov. 30, in the auditorium of Tualatin High School, 22300 S.W. Boones Ferry Road, Tualatin. 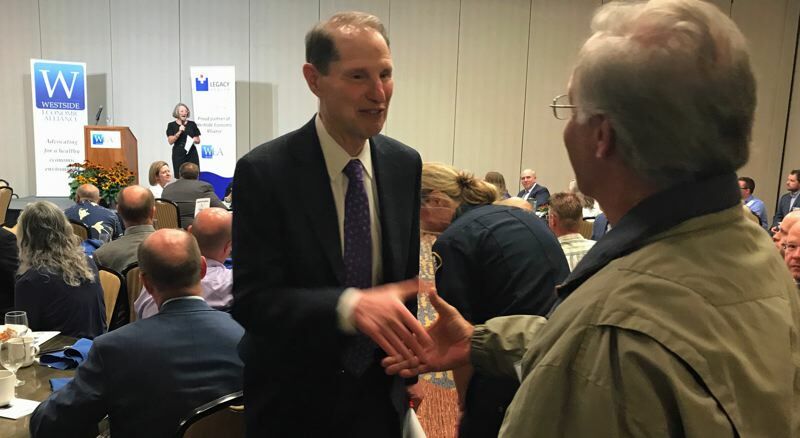 Wyden, Oregon's senior senator, has held 910 town halls statewide since promising he would hold at least one annual town hall in each of the state's 36 counties. He already has hit every Oregon county for 2018, holding 49 town halls so far this year. This weekend's schedule also includes town halls on Saturday at Rex Putnam High School in Milwaukie and Sunday at South Eugene High School in Eugene.